Lately I’ve been experimenting with dehydration, and it occurred to me that I object to the mucousy quality of cooked onion scapes and dehydration often solves such problems. So I put a large bunch of scapes in my dehydrator to see what happened. Lesson learned: they really are juicy inside, and in future I will split them in half lengthwise before dehydrating, because it took about twice as long as it should have to dry them thoroughly. The bulbous tops should also be cut off at the time of initial preparation. 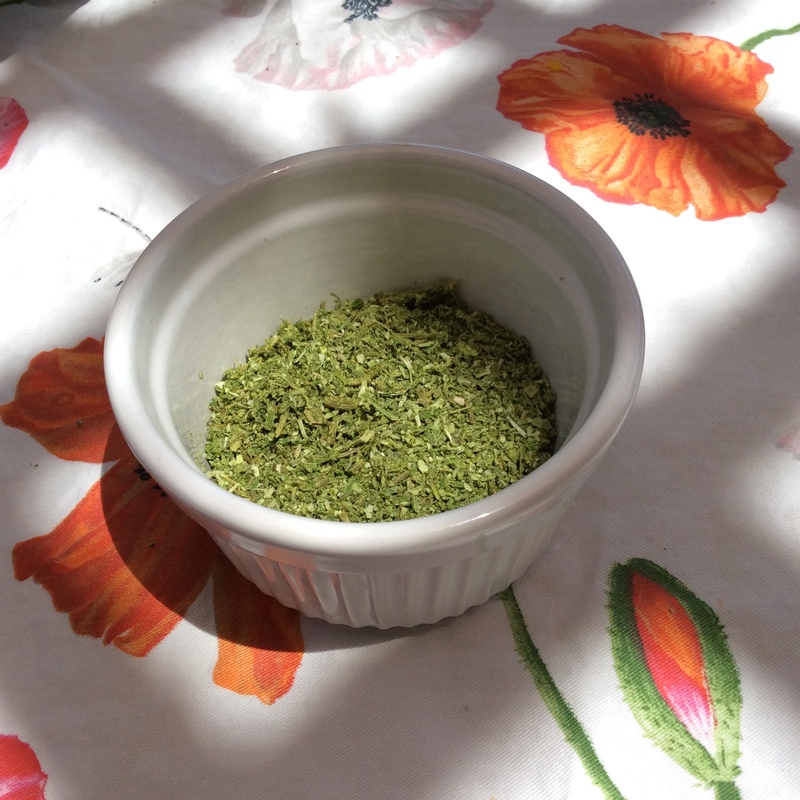 But I did eventually achieve brittle-dry scapes that I could grind into a fragrant green powder. The powder is tasty and sweet, and I’m still considering how to use it. 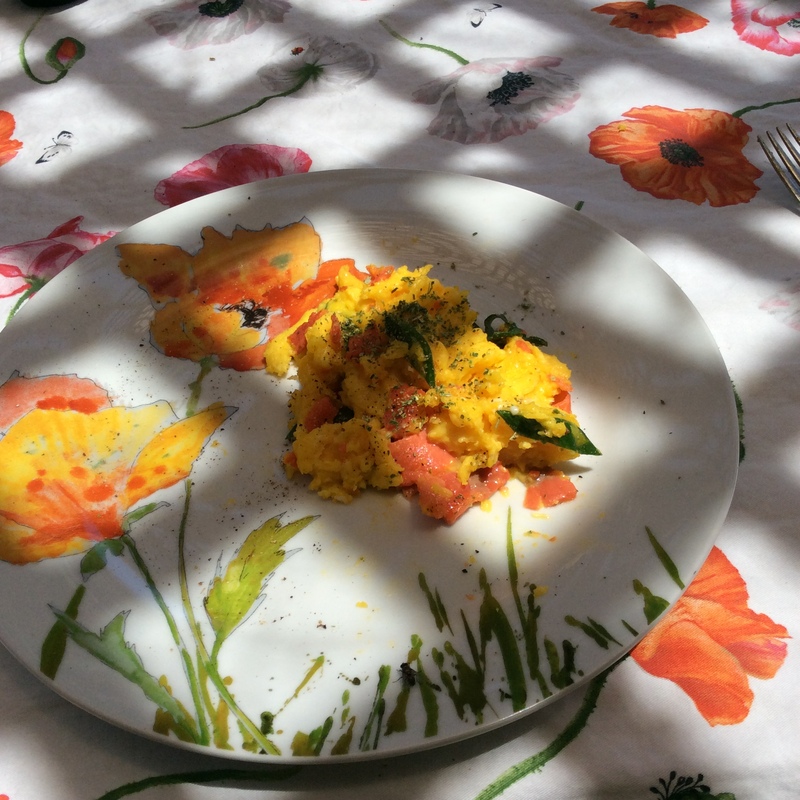 I started with the ultra-simple scramble above: four whole eggs and four yolks beaten with a couple of tablespoons of heavy cream and a dash of salt, then scrambled in butter with one large green onion leaf chopped and four ounces of smoked salmon chopped, finished with pepper and a lavish sprinkling of scape powder. Yum. This is my favorite way so far to use onion and shallot scapes and the remaining ones will all become scape powder. I think it would be delicious if used to finish chicken, fish, and seafood, and might be good on a steak as well. I have heard of dehydrating garlic scapes, and I tried a couple but didn’t care for the result and will continue to gobble them up as a fresh vegetable. 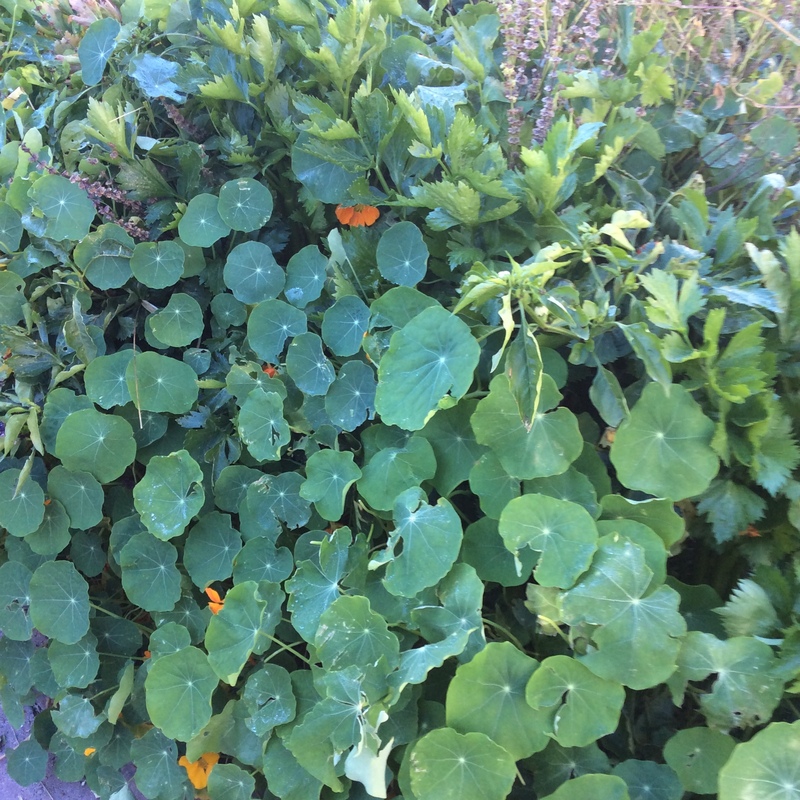 After several light frosts and a couple of hard frosts, the nasturtiums in my front yard are still holding their leaves in good condition, and still blooming a bit. They won’t last much longer though, so this is the time to take advantage of them. 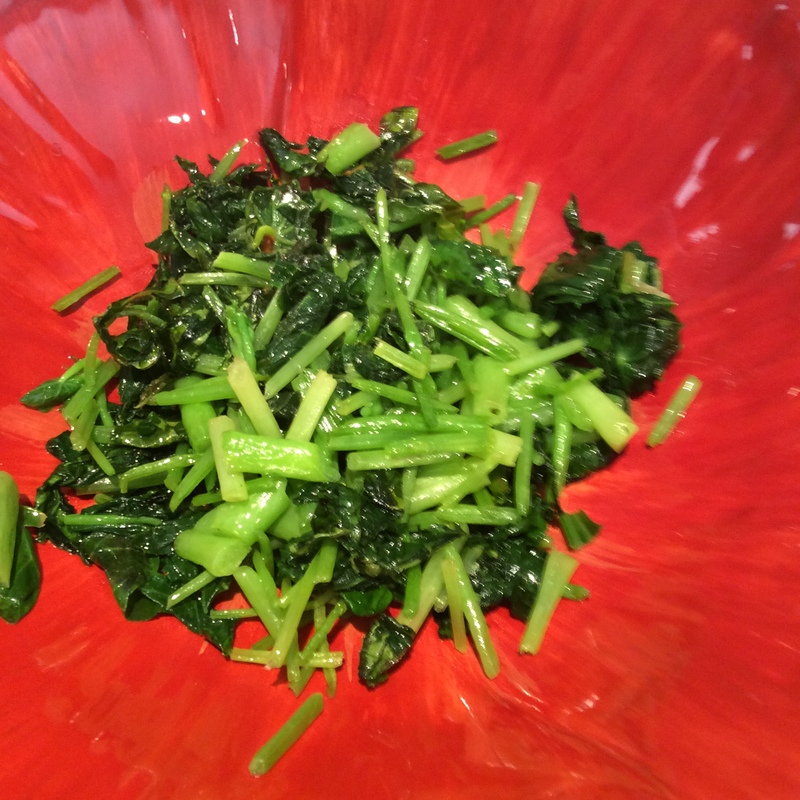 They are always good in salads or used to make hand rolls as suggested in my last post, because they combine a snappy watercress peppery flavor with a tender texture. Cooked, they lose a lot of their sharpness but remain delicious. I grow the trailing nasturtiums that wind so nicely among other things in the bed, and at this time of year I grab about the last foot of stem. I snap them off wherever the stem snaps cleanly, which is usually while they are still smaller than a pencil. I take everything above that into the kitchen for cleaning. I wash them and lay them out on the cutting board. 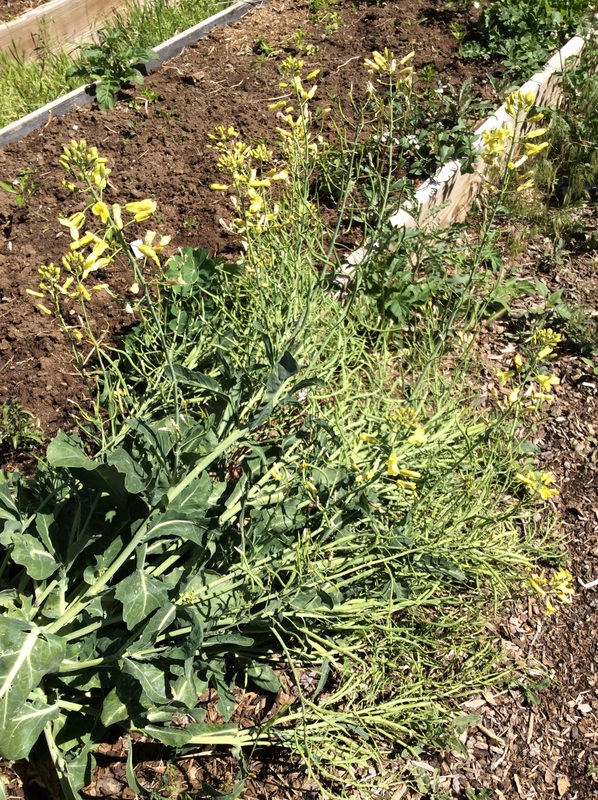 The flowers are devoured on the spot as a cook’s treat, or can be saved for the top of a salad. What remains is cut crosswise into half-inch segments. It’s important to keep them out about this length, or the stems can seem fibrous. 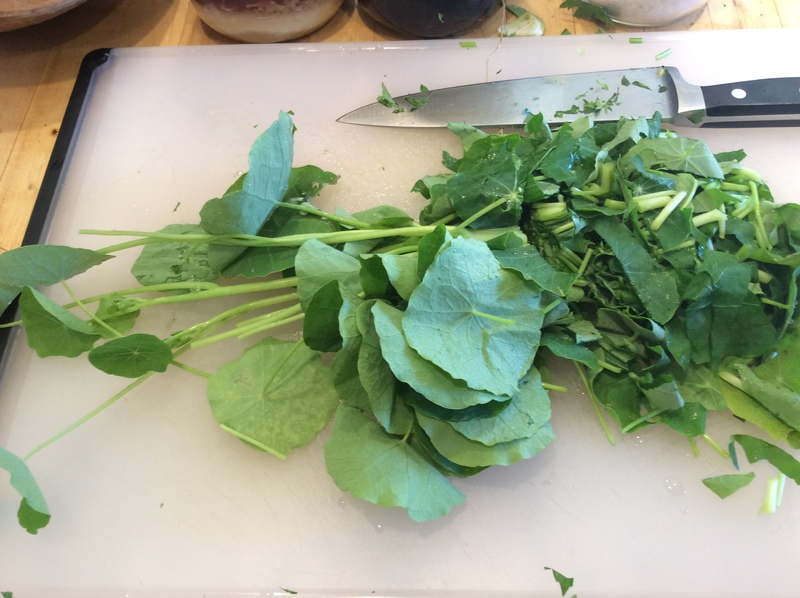 Now stir the sections around a bit with your fingers, then lift off the leaves which are mostly on top and set them to one side, leaving most of the stem segments on the other. There will be a few of each item in the pile of the other, and it doesn’t matter. 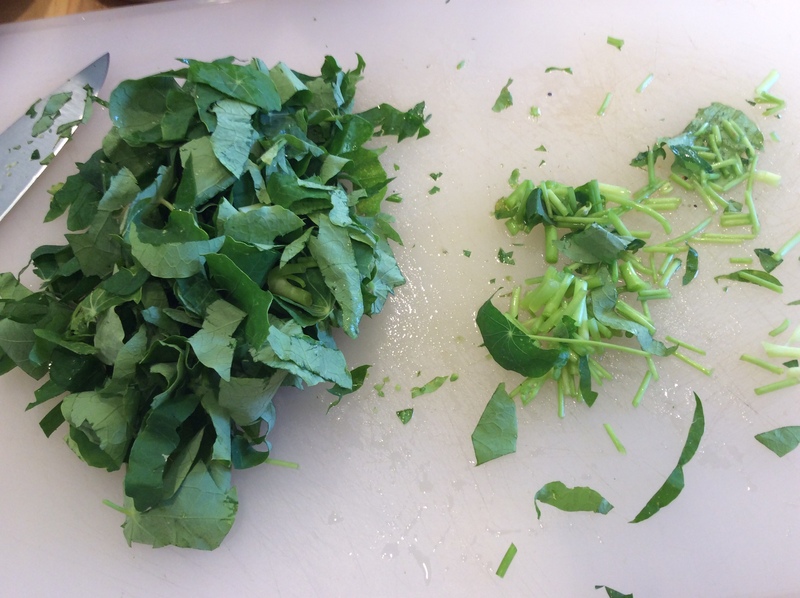 This step is so you can give the stems a bit more cooking than the leaves. Now, cook them in any way that you would use other greens, cooking the stem sections for a couple of minutes longer than the leaves. I have two favorite ways. One is to sauté them fast in a tablespoon or so of hot flavorful olive oil, putting the stems in, sautéing for two minutes, then add in the leaves and sauté in for another minute. Serve with salt and freshly ground pepper. Simple and good. My other favorite use for them is a quick sort of sweet and sour pickle, which I like with grilled meat or dishes in the Japanese fashion. 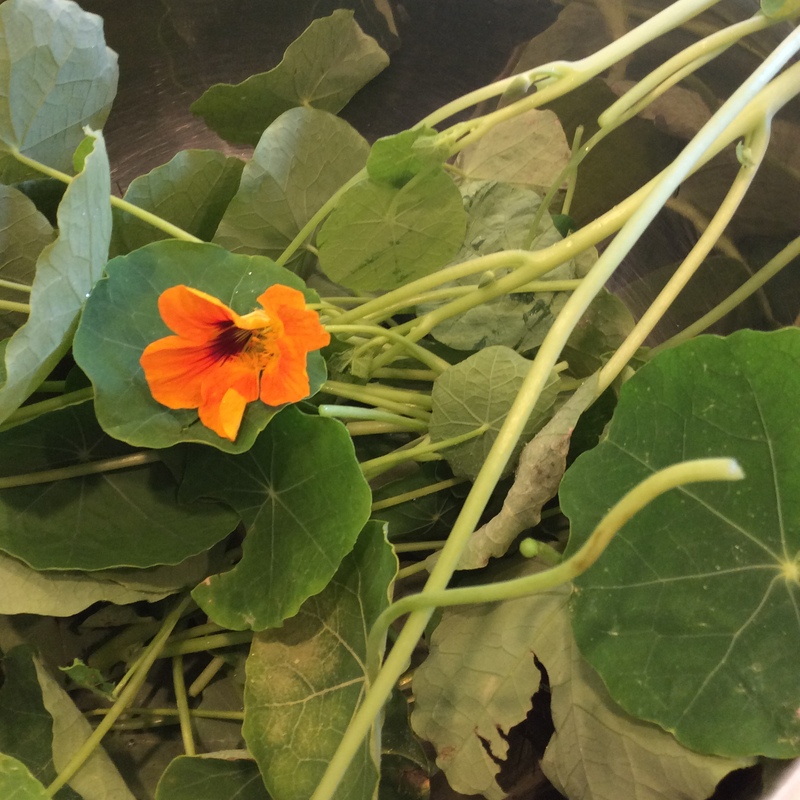 For a heaping a handful of chopped nasturtium, eat half a cup of water in a small saucepan with 2 tablespoons of rice vinegar and 1 tablespoon of sugar or to taste, or you can use artificial sweetener if it is one that does well with cooking. And a scant teaspoon of salt and bring to a boil. 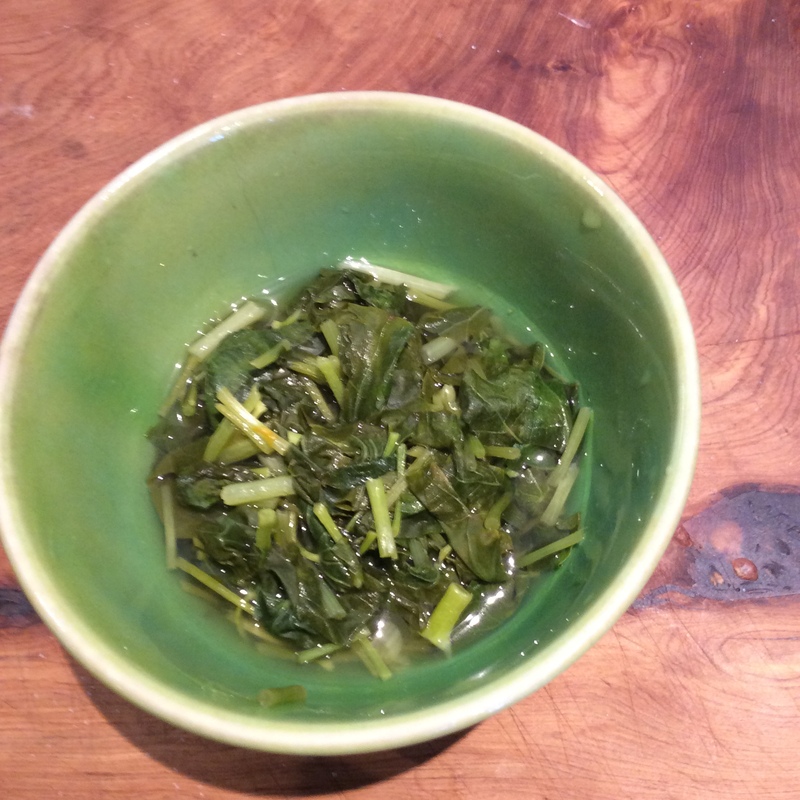 When it is boiling, put in the stems, boil for about two minutes, and the leaves, and take off the heat immediately and let it sit in the “pickling liquid” until room temperature. serve immediately or keep in the refrigerator for a day or two. For my taste the flavors in this quick “pickle” are too strong to use it as a side dish, but you could always use less vinegar and sweetening and salt, and use it as a side dish if you prefer that. When I was growing up in the south, collards were sometimes cooked this way, and I seem to remember that they were good. 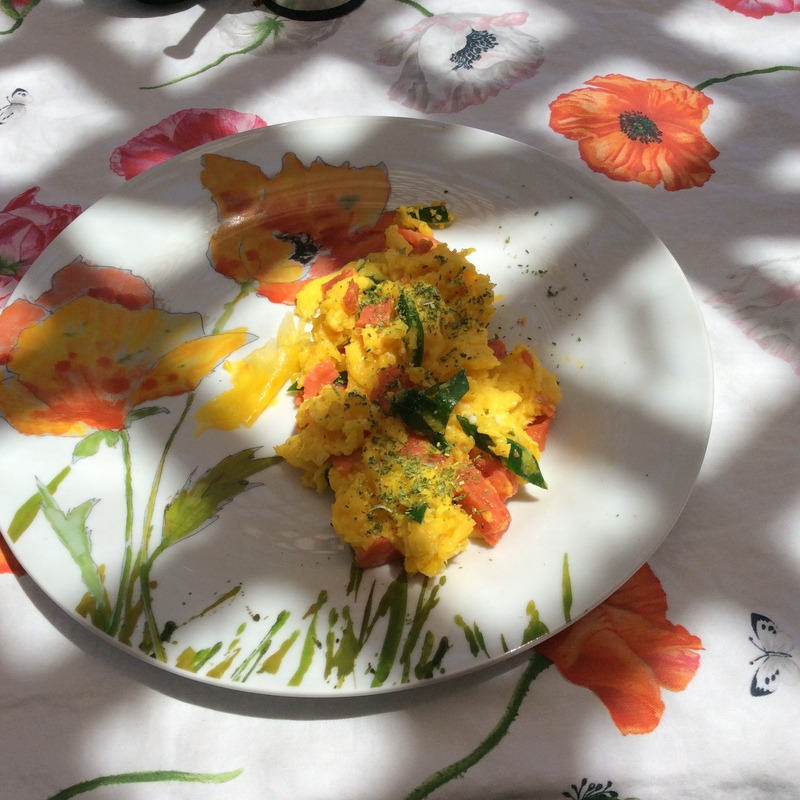 Some people think highly of the nasturtium as a medicinal herb. If you wish to research this, please keep in mind that the nasturtium flower we are dealing with here is Tropaeolum majus, while Nasturtium officinale is actually watercress. This is why we use botanical names; in the long run, it avoids a lot of confusion. In my view, the fact that they are green and lovely in cold weather and taste good is reason enough to eat them. 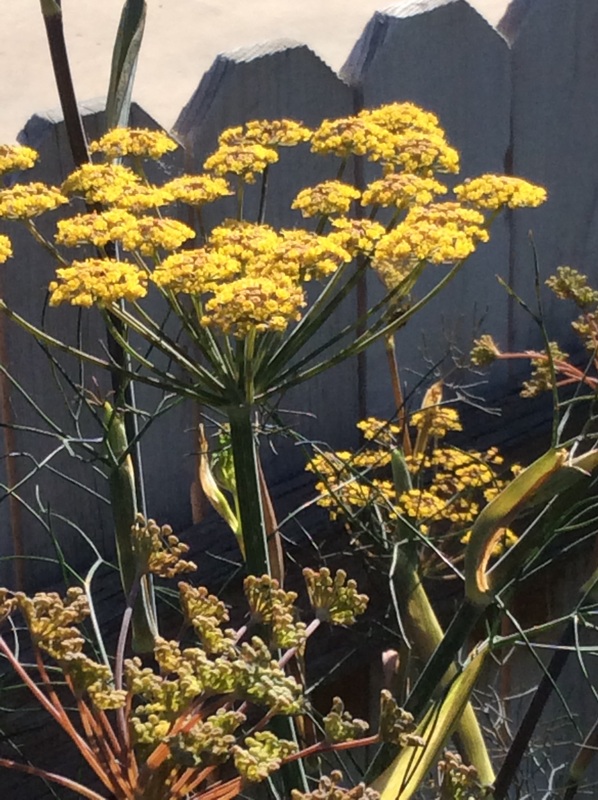 Fennel carries the true taste of summer. 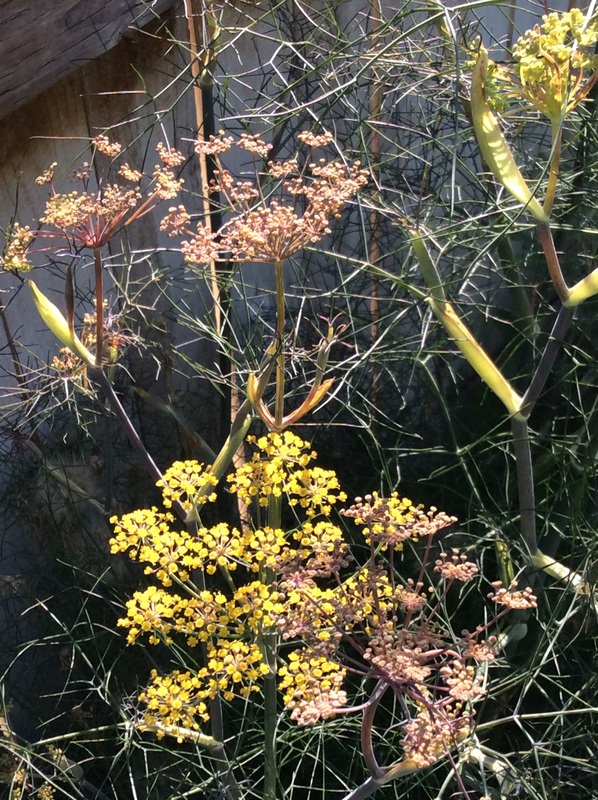 I love fennel and always have it around, and my favorite form, the only variety that I keep these days, is the subtly metallic bronze fennel. If you want fennel bulbs you will have to grow a bulbing type, but my interest is in other parts of the plant so the bronze suits all my purposes. The first pleasure it offers is aesthetic: this is a lovely plant to have around. The color isn’t really bronze but a soft coppery-purple, and when hung with drops from a summer rain it is nothing short of breathtaking, in a quiet way. 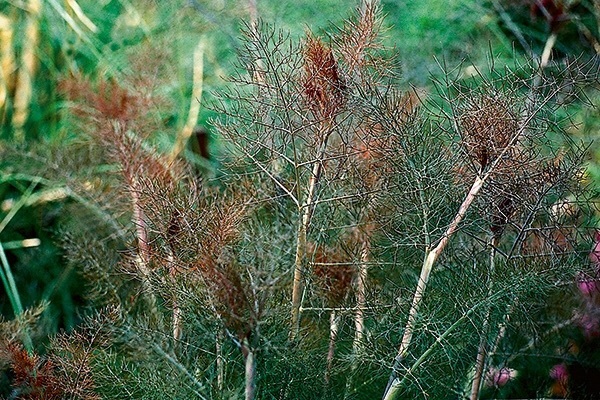 When dry, it is furry like a cat until the stalks form, and a little later the umbels of tiny yellow-green blooms look surprisingly pretty against the darker background. It would pass muster as a front yard edible in the most exacting neighborhood. Second, it is beautifully aromatic. I brush my hand down a frond every time I pass it to inhale the anise-y scent. Cut a few diagonal slices off a good baguette or, if you are ketogenic, cut a few thin slices of ketogenic coconut bread. 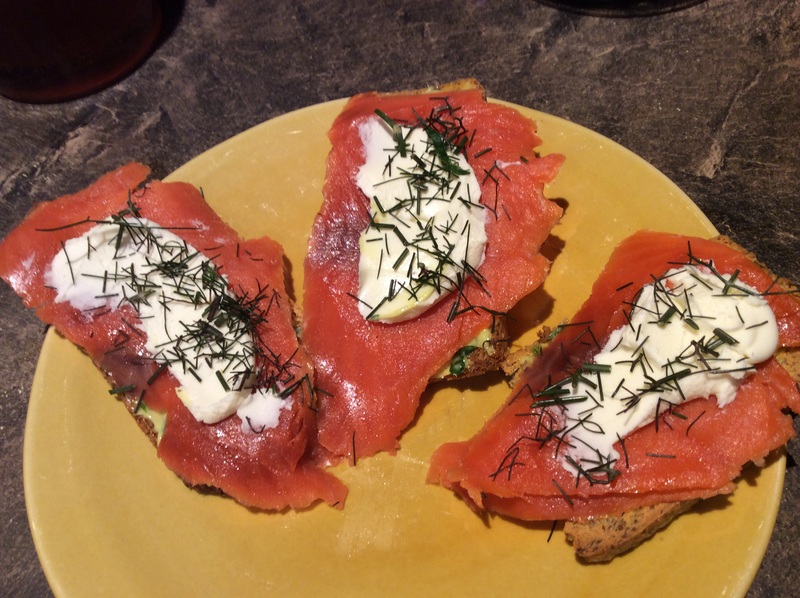 Toast them, spread with green mayo Or your own favorite tarragon-seasoned mayonnaise, put on one thick or two thin slices of smoked wild-caught sockeye salmon, smear with some mascarpone or creme fraiche, and top each with a couple of generous pinches of chopped fennel. It takes five minutes, it’s cool and soothing, and yum. 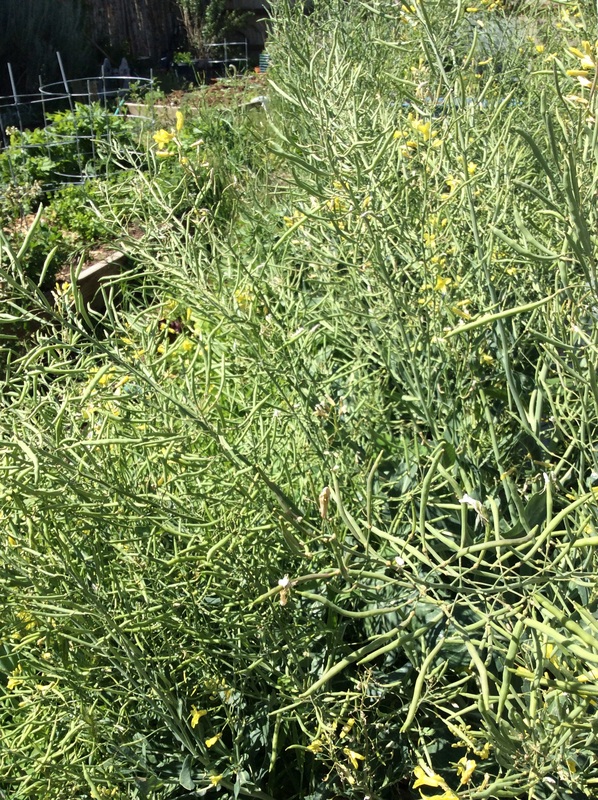 Incidentally, I remember reading somewhere long ago that fennel stalks coated with tallow were burned to summon good witches, and mullein stalks were used the same way to summon bad witches, unless maybe it was the other way around. So if you want to try it, you’ll need to get straight which is which. But I can say from experience that a couple of dried fennel stalks tossed on a dying fire in the fall give a lovely aromatic end to the evening that doesn’t summon anything but contentment and sleep.